Consultant and scientist Jane Waterhouse has some clear messages to share from the 2017 Scientific Consensus Statement and her 20 years working in the water quality field. We asked one of the lead authors of the 2017 Scientific Consensus Statement to tell us about what this document says and why it is so important. 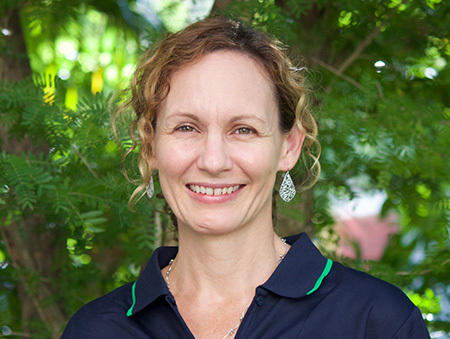 I'm Jane Waterhouse, I work with C2O Consulting and also James Cook University. The work that I'm involved in is looking at the impact of water quality run-off from the Great Barrier Reef, so the connection between the catchment and the reef. I've been working in this field for over 20 years. I've worked for a number of agencies involved in management and science and at the moment my focus is really about connecting management with the science and providing synthesis of that information so it can be used to inform policy. The Scientific Consensus Statement is a document that captures our current understanding based on the latest science of land-based run-off to the Great Barrier Reef. It's used to inform policy and we do it almost every five years to ... when we update the policy documents for water quality management on the Great Barrier Reef. The Scientific Consensus Statement provides evidence so that we can make decisions about the best way to manage water quality for the Great Barrier Reef. Water quality has significant, or can have significant impacts of ecosystem health. So for coral reefs, sea grass, and other ecosystems in the Great Barrier Reef, as well as in the systems in the costal environment; so mangroves, salt marsh, other ecosystems that are important for fisheries. It's been reviewed by independent experts and we can have confidence that what we're saying is based on good evidence. The Scientific Consensus Statement provides a synthesis of all of that knowledge so that we're making the best decisions at the time about how to target our investment for managing Great Barrier Reef water quality and the ecosystems that it supports. It's created every five years to support the policy for the Great Barrier Reef water quality. In 2017, we undertook the statement with 48 contributing authors. These were people from 14 different organisations. - and then 'How do we manage it?' So what are our options, what do we do about these impacts and influences from the catchment? - Finally, for the first time the Scientific Consensus Statement in 2017 had a chapter which brought all this together, so it took the highlights of each of those chapters and put it into a series of conclusions and recommendations and this forms the basis of an overall statement that managers are using to make policy decisions and investment decisions for managing the Great Barrier Reef. So each of the chapters is led by a leading author who then had a number of contributing authors. We also had a process where we invited the broader science community to contribute peer reviewed published materials to the Consensus Statement. The Statement confirms that the Great Barrier Reef is in poor condition. We know this is from a number of impacts that work together to create the stress on the Reef. Climate change is one of those major impacts. But in addition to catchment changes, increased costal development, increased catchment land use, expansion that leads to run off of pollutants to the Reef, so land-based influences. The message is that we've made a difference in terms of what we're doing for water quality but it hasn't been fast enough and that we need to actually quickly so that we can make a difference to the health of the Great Barrier Reef and its outstanding universal value. The other thing that's a major component of the Consensus Statement is what do we do about this. Whilst we're in a position to say what do we do, we're probably still learning about how do we do it best. So, how do you incorporate understanding of the people and the way they behave to make those changes on the ground in agricultural land uses and other land uses to see that we can make a difference to the amount of pollutants that are running into the Great Barrier Reef. The Reef and its catchments are interconnected so there is a dependency between both eco systems. In the tropics like we have you get a lot of influence from that catchment area when it rains. The discharge from the catchment can have negative impacts on the reef and we know quite a lot about that. But it's also important for its ecological function to maintain that connection so fisheries and other habitats rely on that influence from the catchment to maintain their health as well. Our challenge is to find the balance between managing the catchment and maintaining those connections through important ecosystems. And of course the catchment has changed significantly since the time that it's been settled and developed by humans so we've had a lot of agricultural expansion so that changes the amount of pollutants particularly sediments, nutrients and pesticides that are in that run-off and that's what is one of the greatest threats to the Great Barrier Reef. We have a good understanding of which pollutants are most important so sediments which are generally associated with increased erosions. They basically reduce light for coral reefs and sea grass ecosystems. So the amount of sediment in the water column effects the amount of light that reaches sea grass and coral reef ecosystems. It's the fine sediment we're really concerned about because it travels further and it can also settle eventually and smother ecosystems. We know that a large proportion of that comes from grazing lands in the catchments and that's partly due to the large area of those grazing areas but also due to the change in the catchment over time. We have a good understanding of the erosion rates from different grazing areas and we know that it's coming from a number of different types of erosion. So hill slope, but as well as gullies and stream banks and the last two gullies and strain banks are really about managing the landscape and hill slope erosion is about managing ground cover. So the stocking rate of cattle on properties and maintaining cover through different rotational arrangements at different times of year and responding to the climate as well. The other pollutant of major concern is nutrients. There's a link between increased nutrient inputs to the Great Barrier Reef and crown of thorns star fish outbreaks. We know that when there’s more nutrients in the water you get greater survival of the larvae from crown of thorns starfish and that can lead to increased outbreaks of crown of thorn starfish. Only in some areas, we're talking really about the areas between Lizard Island in the north and Cairns and that's the area where we understand those crown of thorn outbreaks to occur. Other effects from nutrients are related to increase macro algae growth. We also know that having more nutrient in the water as well as sediment can affect the influence of increase temperature so the two working together can make it worse. We also understand it's also about coral disease, it increases bioerosion and there's a number of other factors but the greatest one is really related to the wet season run off and crown of thorn starfish outbreaks. We understand that nutrients is one of the major issues for the Great Barrier Reef and we do have a fairly good understanding of where that comes from in the catchments. So presently we understand that around 78% of the loading of nutrients comes from sugar cane areas. That's partly due to the large extent of sugar cane in the catchments but also due to the management practises. So, application of fertilisers and then run-off can result in an increase in nutrients heading out to the Reef. The fertilisers that are used in sugar cane contain large amounts of nitrogen and our understanding is thatnitrogen is one of the greatest influences on coral reef and sea grass health so it's really important that we're keeping an eye on the amount of nitrogen that makes it out to the Great Barrier Reef. We're particularly concerned about the material that's available to plants for plant and animal uptake now. That's the dissolved and organic nitrogen, that's what we talk about a lot when we're looking at the influence of sugar cane run-off. Nitrogen run-off from sugar cane areas can be reduced by matching the application to the plant needs and there's a lot of information available on how to do that. There's also ways of applying the nitrogen and the timing of it as well. There are several practises that we have quite substantial confidence in that could be adopted by sugar cane growers to reduce the amount of nitrogen coming from the farms. The Great Barrier Reef and its catchment cover a very large area so you can imagine it's very difficult to try and monitor what's happening across that whole landscape. To do that we use a combination of monitoring and modelling tools. We also use the modelling tools for a number of other reasons. One is because we have a lot of climate variability between years, some years we get a lot of river run-off through rainfall and other years we don't and we also have time lags in the system so understanding that what we do in the catchment doesn't immediately have an influence on the Reef. Models have the capacity to account for that and they enable us to look at what difference are the land management changes that we're making outside of the climate signals. They do work together so we have monitoring programs that provide validation data for the models so the models are populated with the best available science and they have inputs related to the soils, the ground cover, the catchment characteristics, where the water is coming from, how much water and then also which practices and that is supported by the monitoring data that says, at this location this is the water quality characteristics that we're seeing and then the model is adjusted to reflect that. Using them together is the best available tool and the Great Barrier Reef Paddock to Reef Program is really leading the world in some of that work. The sources of the pollutants to the Reef are reasonably well understood and we get the information through a combination of monitoring information and modelling but we heavily rely on the monitoring in the first place. At a smaller scale, we've taken water quality samples typically during rain fall events and we can trial that in different land uses so when it's raining you take a measurement say for example from a sugar cane farm, from a natural area, from an urban area and we understand then what the concentrations are coming off these different types of land uses and we don't just do that in one spot, we do it in different places because then you can understand what the other environmental conditions in that area, how that might affect those contributions. Then that monitoring information is used to put into the model to expand that knowledge across the catchment so that then we get a picture at the end of each catchment of what each land use is contributing. The sources of pollutants in the catchments are reasonably well understood. Whilst a large proportion of the pollutant comes from agricultural land uses, partly due to the large area of those land uses. We also have contributions from urban, industrial and mining and other areas. However, these are relatively small for example with the dissolved inorganic nitrogen, we understand that it contributes about 10% of the total load at the end of the catchment and for total suspended sediments it's around 4%. Of course that varies between different areas and that's, at a local scale, that’s still very important but at the scale of the whole catchment or the whole Great Barrier Reef our focus is very much on the largest contributors and in many areas that is agriculture. Part of my role is within the marine monitoring program in the inshore water quality and I've been involved in that through the Great Barrier Reef Marine Park Authority and now JCU for almost 10 years. Looking at that we actually go out during periods when it's raining and you have a flood and we look at what are the materials that are getting out to the Great Barrier Reef and you can really see that difference in the areas like the Wet Tropics you get really greenish waters, you get a lot of algae in the water and it looks really thick and we can see that that is having an impact on those ecosystems especially when it stays around for quite a long time like we saw earlier this year. When you get sediment run off you get that brownish water and that's when you can see that there's no way that the light can get through to the animals and the plants that are on the bottom. So the coral reefs and the sea grass and in those big events that stays around for a long time. In my experience from the beginning of when I started to go into the field and look at some of these systems I've seen a lot of changes. Especially in the wet tropics areas. We used to do a lot of sampling, looking at coral reef ecosystems and how they change during a flood event. But I guess on the positive side as well we do know that when you do get a period when there isn't a lot of disturbance we do see quite quick recovery and that happened in around 2014 and 15 where there wasn't much rainfall and so limited discharge and they saw quite fast recovery of some coral reef and sea grass ecosystems particularly in the wet tropics. So, that's a positive story. I've always loved the ocean and being out on the water. I moved to Queensland about 20 years ago. When I arrived here I found a new love for sailing and I enjoy being out on the water and I had the absolute pleasure of being able to travel the Great Barrier Reef coast on a small boat and you get to really have that connection with the systems and the islands and the people of the Great Barrier Reef and that's really what motivates us to keep going in trying to manage the overwhelming influences on the Reef that we're seeing in our current time. The scientific evidence that we have is the best available so scientists are constantly working to understand the link between different influences on the Great Barrier Reef and we are getting better at it and I don't think that anyone would claim to say that we know everything about it.But the science that we have goes through a rigorous process of peer review so normally what will happen is you will have a team of scientists develop a paper or a report and then to check that that makes sense and it's not just their opinion and that the techniques are robust it goes through an external peer review process and through journal papers that's very rigorous and through the technical reports that we've used in the Scientific Consensus Statement that's also a rigorous process. The external review will identify any issues and then the authors are required to address that, so that gives us confidence that what is being published and the evidence that we're using in policy does have an external check on it to make sure that it is the best available knowledge. The influence of a changing climate on the Great Barrier Reef is quite overwhelming and it's very evident in recent years particularly with the large-scale bleaching events that we saw for the last two summers. Whilst we don't have a lot of local management control over influences like a changing climate, we do have the ability to manage other pressures so things like managing water quality and also direct uses such as fishing and other smaller scale local influences like access to particular sites is what is really going to make a difference in the context of a changing climate. Of course things need to happen at a much higher level globally and nationally about climate change but really water quality management and how we manage the catchments is our chance to make a difference to maintaining the health of the Great Barrier Reef so at the time when there is a gap in disturbances it has the best chance of recovery. Water quality is one of the factors that we say provides resilience for the Great Barrier Reef because if you can reduce that pressure it gives the Reef a greater chance to recover from those other big disturbances that we have less control over.